3. How do we further continuing development in an ‘impossible profession’? How do we further continuing development in an 'impossible profession'? In the last two entries, I described the crisis point in professional development that therapists can experience when they are getting in touch with the inherent impossibility of the therapeutic endeavour, and how wrapped up this can become with a disturbing sense of professional failure and personal failings which touch deeply into our subjective identity as therapists. But rather than being understood as the place and space in the therapeutic encounter where we must inevitably arrive if we are to engage the mutually-transformative potential of therapy, our discipline also has a historical tendency to override, side-step, conquer and find 'solutions' for these necessary vicissitudes of the process. The public - and we ourselves - intuit and recognise and joke about how fraught a profession therapy is, but we are also fascinated by its promise and want to believe and present it as 'do-able', even manualise it and make it predictable, assuring guaranteed successful outcomes. However, psyche cannot be pinned down, the subjective element cannot be removed, woundedness cannot be conquered, wholeness is elusive and transient and evolving, and therapy needs to be impossible for it to work. The common quip that therapy is an 'impossible profession' reflects these two contrasting attitudes: on the one hand that quip is rooted in a deep recognition of the impossibility as an essential feature of therapy; on the other hand it brings light relief to a painful conundrum: usually, it comes packaged with an implicit suggestion either that the client is impossibly difficult, or an admission by the therapist that he or she may be inadequately skilled for the job at hand. Rarely is it imagined that the impossible impasse in the therapeutic encounter may be a central and necessary feature of therapy - not a mistake or an occasional, accidental hazard of the profession, but evidence of the process of therapy taking place. Apart from odd historical glimpses, it is only in recent times that we have become able to see the essential impossibility more systematically and comprehensively as the foundation of our work - a foundation in which all our subsequent learning and training should be rooted. As I discussed last time, it is our own emotional-psychological pain, our woundedness which attracts us to the profession, but in the same way that each of us individually has characterological defences and protections against that woundedness, so does the profession. As our personal-professional identity inevitably is bound up with our 'success'as therapists, feeling like we're failing has traditionally provoked a host of theoretical and technical knee-jerk reactions, designed to counteract, overcome and vanquish the therapist's (and client's!) pain associated with the profession'sinherent impossibility. So there's not much of a tradition 1 -across the approaches and modalities -that welcomes and supports the therapist's feeling of failure; and - more importantly -sees it as an essential part of the work. However, I suggested that when therapists are held and supported in that emerging deconstruction process of their professional identity, this can become an important doorway into inhabiting the paradoxical nature of the therapeutic position in a new, deeper and more effective way: when we grasp the nettle which is the impossibility at the heart of our profession, the depth, breadth and effectiveness of our therapy increases dramatically. Before I begin to touch upon the deeper theoretical and meta-psychological reasons why therapy is - and needs to be - an impossible profession, let's consider the implications of this proposition for Continuing Professional Development 2: this is a crucial consideration for the field and the profession, as the extent to which we accept its fundamental impossibility is the extent to which we must consider dramatically revising how it is that we learn, continue to learn, and - by implication - teach psychotherapy. How we conceive of therapy will determine our priorities in terms of our continuing learning as well as how we provide learning opportunities and training for others. The more, for example, we think of therapy as a quasi-medical linear discipline, where we apply scientifically validated theory to the 'case' in front of us, the more academic teaching makes sense as an avenue for training new therapists. The more, as another example, we think of therapy as dependent on Rogers' necessary and sufficient core conditions, the more we are likely to prioritise a self-directed learning process where the personal skills and qualities of unconditional positive regard, empathy and congruence can develop - a process in which the means fit the ends: a self-reflective independent practitioner. The more we think of therapy as resting upon an inherent impossibility - with all the corresponding sense of failure which this implies for the therapist - the more we need to construct learning environments and training relationships which do justice to that premise and recognition. What kind of learning environments and training relationships might be capable of preparing students for the profession, when the work is understood as impossible? Has the shift towards a more academic orientation helped our practice? Since I started my own training in the early 1980's, psychotherapy training has gone through significant changes: as the profession has developed, the substance and content of the curriculum have changed, across the different approaches. But more importantly, there has been a shift away from experiential learning towards a higher degree of academic teaching and academic requirements, which now constitute a much larger percentage of the sum total of psychotherapy training that gets delivered. However, there is a tension between psychotherapy as a theoretical subject that can be taught academically and psychotherapy as a relational art that is learnt via experiential apprenticeship; between some combination of basic knowledge regarding theory, technique and general principles that can be acquired through study and an idiosyncratic mixture of skills, gifts and subjective wounds that need an individualised psychological process of transformation into a therapeutic stance and style 3. Both aspects are valid and necessary, but - it seems to me - over the last 20 years the balance has shifted towards the academic end of the spectrum, with most courses associating with universities and giving their students the opportunity to gain MA's or MSc's as well as their psychotherapy diploma. Has this benefitted our practice? In my opinion, the jury is out, as alongside some improvements there has also been a loss and a deterioration in our practice. After the uniquely precious cross-modality process - by which our profession assembled itself in the late 1980's and that led to the formation of UKCP (something which therapists in other countries rightly envy us for) - there was a huge potential for cross-fertilisation between the approaches and different sections of UKCP. Much of this fruitful, integrative learning has indeed occurred and benefitted the profession in the UK, but in my opinion the full potential has been compromised by being framed within a one-sided academic educational paradigm that cannot on its own do justice to the essence of our work. There is no incontrovertible reason why this should be the case, or necessarily continue into the future, but it seems to me that the increasingly academic orientation has nudged us away from facing and addressing the inherent impossibility of psychotherapy. Instead, we get caught in simplistic, linear, normative assumptions: that our task as therapists is to return psychological dysfunction to healthy functioning, as if these were obvious, straightforward notions 4. Doing therapy 'right' - for whom? However, in an impossible profession like ours the very idea of simply 'doing our job right' - as if there was an obvious singular dys-function which can be restored to proper function, like an electrical switch that either works or it doesn't - is flawed to begin with. People who usually shout loudest when they demand that therapists should be accountable in the same way as other professions, when they expect us to 'fix' the problems and 'dysfunctions' of the mind or the psyche in a predictable way (ideally with a 10-year guarantee), overlook one crucial difference between water pipes, kitchen tables, electric switches and human beings: the supposedly clear-cut difference between function and dysfunctionoccludes the view to a much deeper human dilemma: conflicting functions. Unlike a water-pipe or a table-leg, the human being as a living subject does not have one simple function that can be 'fixed' back into working order; a person - and especially a person in distress - has different and conflicting aspects, impulses, needs, and 'functions'. As any complex system in dynamic tension, sometimes in equilibrium and often in chaotic process far from equilibrium, the various 'parts' of the psyche function in tension and conflict with each other. And unlike the plumber, carpenter or electrician, who has no doubt as to what malfunctioning aspect it is that needs fixing, which aspect of the conflicted psyche should the therapist champion? "I know that the person I have been attracted to is not good for me, but I just can't bring myself to let them go." Which part am I going to champion and facilitate towards functioning well: the part that says the partner is no good for them, or the part that is attached or maybe even co-dependent? "Consciously I have no good reason for cutting myself, but when I see the blood, it's the only thing that brings me a deep sense of relief." In the descriptions which clients volunteer, they imply conflicts between conscious and unconscious forces, between rational reflections and compulsive feelings and behaviours. Common sense dictates that as therapists we should side with the rational and supposedly conscious personality, and forge our alliance with them. But even the most banal and cursory phenomenological enquiry into a client's presenting problem reveals that they are identified with both conflicting impulses: we might say, a different part of the self lives within each of the impulses, but these parts are opposed and working against each other. And usually they are experienced as mutually exclusive. There is a tacit acknowledgement of internal conflict implicit in the client coming to therapy: otherwise, we might ask, why would the client seek psychological - rather than medical or social - help in the first place? There are many ways of differentiating and naming the different 'parts' of the psyche in tension with each other 7, but beyond conscious versus unconscious forces, just for starters and without precisely defining the terms, we might, for example, follow Jung in differentiating the 'ego' from the 'shadow' and see how the conflict between them is a perennial aspect of what brings clients to therapy: between Dr Jekyll and Mr Hide, which one needs therapy and whose 'well-functioning' am I going to champion? which one am I going to make a working alliance with? 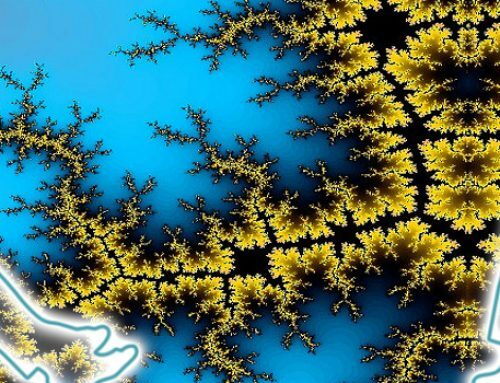 Or - still following Jung - we might say that there is a polarity between thinking and feeling, or between intuition and sensing: a strongly developed thinking function often means the feeling function is underdeveloped, and vice versa. And the same is true for the intuiting and sensing functions. So if there are conflicting impulses, the well-functioning of one aspect usually implies the dysfunction of the other, and vice versa: if one 'functions' well, it is to the detriment of the other. Whatever the specifics of the client's presenting problem, they will readily volunteer their own subjective sense of this. And each impulse or part is endowed with a sense of identity and becomes an agent in the therapeutic relationship - an agent I am relating to whether I like it or not. So as the therapist I'm in a dilemma: which side of the internal conflict do I support and get behind? Whose functioning do I champion? Whom do I get therapy 'right' for? To identify with one will not only imply dis-identifying from the other, but - in the client's perception - to identify against the other. How can I establish and maintain a working alliance with two mutually exclusive polarities? One apparent solution to this dilemma, which some therapists eventually gravitate towards, is to maintain a habitually safe distance from the conflicted dynamics altogether. However, as I will try to show in future blog entries, at some point the client's conflict will become the therapist's conflict, often subliminally and/or unconsciously, often times explicitly so, and the question then is whether we have been aware and alert enough to its emergence to engage this conflict, meet the client in the moment and survive - what I like to call - the inherent 'intersubjective mess'. Let's take a couple of straightforward examples: a client is addicted (doesn't matter to what) - they bring a sober part in conflict with an addicted part. Which one am I going to side with? Will I do my job 'right' for the sober part and get rid of the addiction? As the two are embroiled in an internal civil war, if I side with one, I will make an enemy of the other. Do I just assume the sober part is the one who validly brings the client to therapy and form an alliance on his/her terms? How will I then get a working alliance with the addicted part? Does the addicted part have any valid purpose that deserves to be therapeutically supported? How do I do my job 'right' for the addicted part? By appearing determined to eliminate it, as a consequence of siding with the sober part, won't it be more likely to defend itself or fight back, or go underground and surreptitiously embed itself more deeply? Or, to take another example: as any couple therapist can tell us, if I have two people bringing their conflicted relationship to me for help, the surefire way towards losing my therapeutic position is to take sides: I see the perspective of one of the partners as valid, champion their idea of what a well-functioning relationship is on their terms, and proceed to offer therapy to support this idea. Most therapists will accurately intuit that soon the working alliance is going to be mincemeat, as will be the therapeutic process itself. Whilst the conflict in a couple between two external people makes this dilemma more obvious, the same is true in regard to each and every client's internal conflict. What does it mean to get the job of therapy 'right'? For whom? For which of the conflicting parts? What happens with the 'parts' that we dis-identify from, and are seen to be identifying against? The client's internal conflict sets up two opposing universes of therapy - which one are we going to align with and practice and get 'right'? Whichever one we side with, by implication we are going to fail the other one. CPD - learning to fail 'better'? This is the basis on which - in my last blog entry - I say to my supervisee: "The process requires you to fail, and there is no one right thing to do. Usually there are two wrong things to do." You can take sides with one part, or you can champion the conflicting opposite part, but in this case two wrongs definitely do not make a right. The therapist can valiantly try to stay out of it and maintain a neutral third position. But then the client is likely to experience the therapist as clinically removed and uninvolved. So on balance, the therapist is bound to fail the client somehow. A sign of maturity in a therapist is when they become less concerned with whether they will fail, and become more interested in how they fail. So at that point the therapist's capacity to fail, and to fail gracefully, becomes paramount. 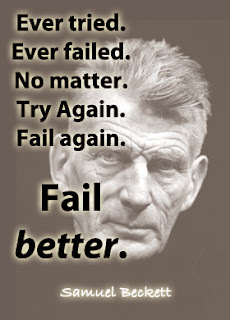 A colleague of mine, Werner Prall, following a quote from Samuel Beckett, used to speak of psychotherapy training and CPD in terms of 'learning to fail better'. In summary then we can say: the idea that simply by virtue of our ongoing therapeutic practice we expand our skills in a linear way towards increasing proficiency does not apply to an impossible profession. On the contrary, in therapy, the more experienced I become, the more awareness I develop of the impossibility. Whether that's a good thing or a bad thing for my clients depends mainly on how I then respond to that intensifying dilemma, along with my capacity for embracing the necessary failure and how gracefully I surrender to it. Unlike plumbers or carpenters, we do not simply become better and better therapists with more experience. An important aspect of our improvement is that - as we acquire more skill and proficiency - we also acquire the capacity to fail more spectacularly and damagingly. For most of us, it's hard to come to terms with the fact that in an impossible profession I cannot ever simply 'get it right', however good I become at it. What is it that makes therapy the 'impossible profession'? If therapy was simply a linear quasi-medical process, by which a professionally trained therapist applies a diagnosis from a comprehensive body of theory to a particular case, and administers a treatment plan which is then fairly guaranteed to take the client from A (misery?) to B (happiness? )8, we might consider this a difficult job, but not necessarily impossible. Even doctors - who are supposedly protected from the vicissitudes of human relating by relying on the application of scientific procedures and thinking (i.e. NICE guidelines) - catch a whiff of the impossibility. They know that as soon as the patient's psyche enters their consulting room, their task is no longer straightforward. There are, of course, inherent challenges and ambiguities in applying scientific knowledge, as there isn't always just one obvious theory that applies. But these difficulties of the 'medical model' are small in comparison to the complications that arise in any treatment as a function of human relating. Even when the doctor is sure about the correct treatment in principle, it is a whole other ballgame to administer that treatment to the fickle and complex actual human in front of them. After all, whilst the placebo effect contributes significantly to all kinds of medical cures and works in the doctors' favour, there is also a high incidence of irrational non-compliance and resistance to the treatment which undermines the effectiveness of all kinds of medical interventions, and the same is true in therapy. A simple example is of an actual client who required a stomach-pump to remove a poisonous substance from the belly. No problem. A simple procedure in what-should-have-been a non-life threatening situation, except that the client repeatedly entered into a traumatic panic as soon as an object was pushed into his mouth as a result of a re-activated sexually abusive experience; and was treated as a difficult patient who was deliberately exhibiting behavioural problems. But whilst these complications are present and noticeable in the medical and indeed all helping profession, in psychotherapy the inherent impossibilities take centre stage and become magnified, intensified and raised to a whole other level of exquisiteness. Having asked around amongst colleagues for their ideas why psychotherapy is an 'impossible profession', I have collected a pretty mixed and confused bag of opinions. • Is it because we have no tools other than our self? And because that one tool - our own subjectivity - inevitably contains flaws and wounds that are bound to interfere with the job? • Or is it that we are not sure where we stand in relation to the medical profession, uncertain whether we are - or can be - 'doctors for the feelings'? And that our work is condemned to remain 'impossible' as long as we work and are evaluated, measured and researched by the same linear parameters, standards and criteria? • Or is it that - as neuroscience has now comprehensively confirmed and established - we can't ever quite manage to approximate sufficiently that goal of professional objectivity which is the hallmark of medical and other helping professionals, and supposedly makes the difference between talking to a therapist and talking to a friend? Because we can't ever quite get away from intuiting that the deeper it goes, the more therapy involves a highly subjective encounter and effectively rests on the aforementioned 'intersubjective mess'? • Or is it because our clients are habitually and unconsciously caught in avoiding the very wounds for which they supposedly seek healing? And that confronted with that avoidance we cannot - and should not and must not - find a possible solution? As we saw above, when we face the pervasiveness of the client's internal conflict, we understand that we cannot find a 'solution' for one part without betraying - and potentially eliciting the surreptitious resistance of - another part of the client's psyche that we have failed to identify and resonate with, and therefore cannot feel and honour. • Or is it something else or a combination of the above that makes psychotherapy an 'impossible profession'? 3. In the humanistic field, there has been a long tradition of integrating these contrasting styles of learning towards become a psychotherapist; the neuroscience of therapy, though, has now added a whole new dimension to this topic and its significance, even if we just think about left-brain versus right-brain styles of processing. 4. Historically there have, of course, been multiple and comprehensive critiques of these kinds of assumptions: what is psychological health? what is healthy functioning? what is our job, in the face of emotional, psychological, mental distress or difficulty? 6. since our origins, there has always been an ebb and tide of collective transference towards the profession, with the general public, the media and journalists in varying degrees and for their own reasons misunderstanding and misrepresenting our work. But as a profession we have also significantly contributed to this, in the often alienating and cloistered way we have come across. After some strong criticism during the 1990's, it is understandable that therapists have been determined to present their work as professional, accountable and - above all: doable and effective. And to a large extent this is valid and helpful. What I am addressing here is the extent to which we have - for the purposes of making our work accessible - oversimplified it and to some extent bought our own spin. Yes, for the purposes of marketing, ALL kinds of therapy do work. But what does make them work is a relationally much more complex and complicated process than we like to think, let alone broadcast publicly. Oversimplifying this process then becomes unhelpful and counterproductive for training and thus for future generations of therapists.